Download E-commerce Google Analytics app from our site's extensions section and install it using Joomla installer. 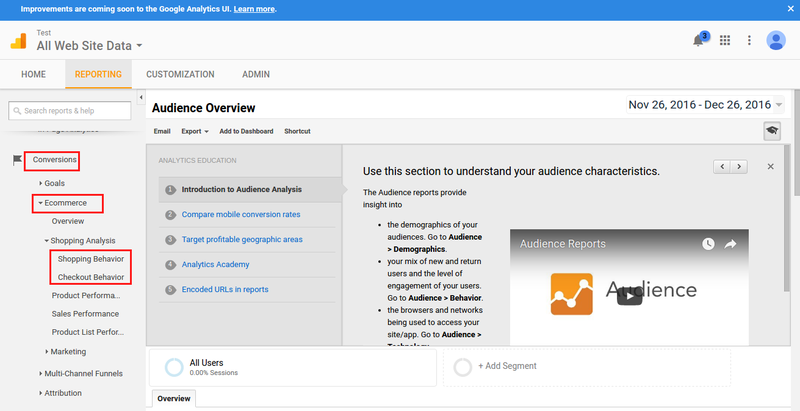 How to get Google Analytics ID ? Login into your google account and go to Google analytics (https://analytics.google.com/). If you have not already sign up, click Sign up button on right side of the page. Enter your Account Name, Website Name, Website URL and choose industry category and reporting time zone. Finally click Get Tracking ID. Copy your Tracking ID and paste it in our app settings. Enter your Google Analytics ID here. You can login into your Google Analytics account to find your ID. Set the domain name to auto because if your site is in sub-directory (for example, www.example.com/test), it automatically detects the absolute url. You can also enter your domain name here. Add Universal Analytics Tracking Code - It is nothing but page tracking which allows you to measure the number of views you had for a particular page on your website. 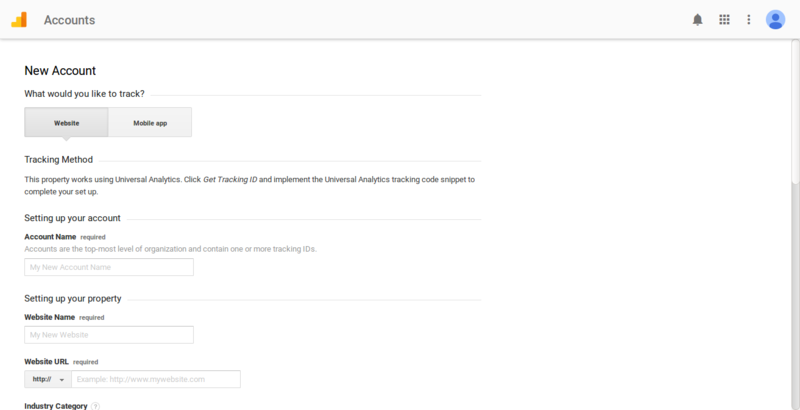 Add Display Advertising Feature Code - Enabling Advertising Features in Google Analytics allows you to take advantage of Remarketing, Demographics & Interests reports, and more. Add Enhanced Ecommerce Tracking Code - It enables tracking every click events. Events are user interactions with content that can be tracked independently from a web page or a screen load. This feature sets Impression threshold for category page. It sends hit after these many numbers of products impressions. 1. 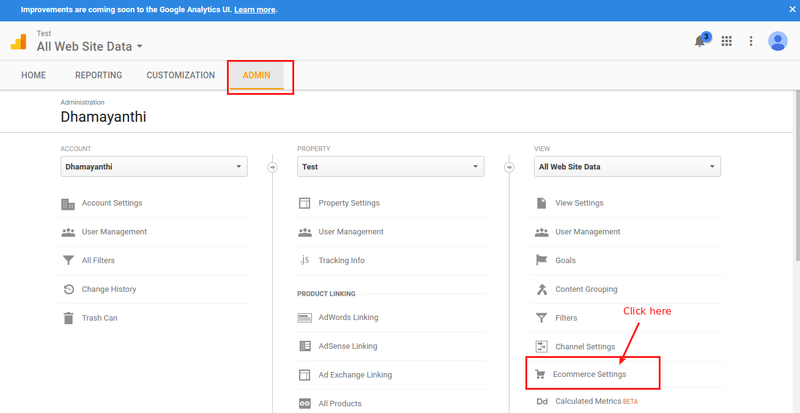 After login into Google Analytics, move to ADMIN tab and navigate to the Ecommerce Settings menu. 2. In the E-commerce setup page, you have to turn on the Enable E-commerce. 3. Then, Turn on the Enable Enhanced Ecommerce Reporting. 5. 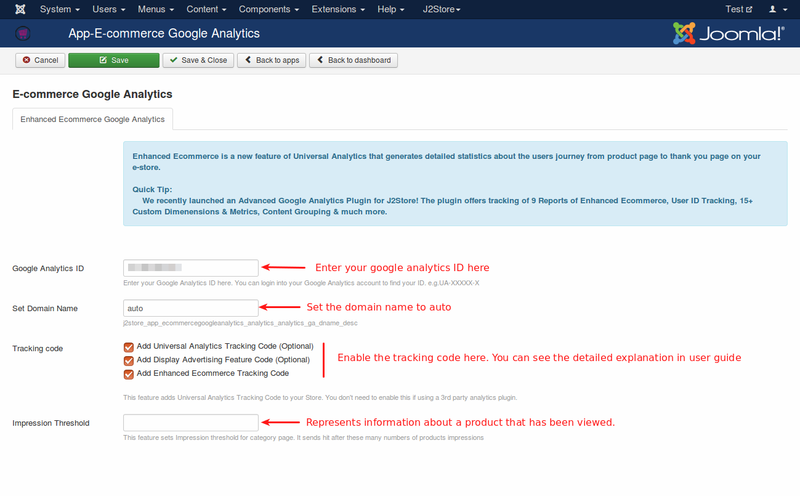 Once finished configuring our E-commerce Google Analytics app and enabling enhanced eCommerce reporting in your Google Analytics account, go to your site frontend and place the order. 7. 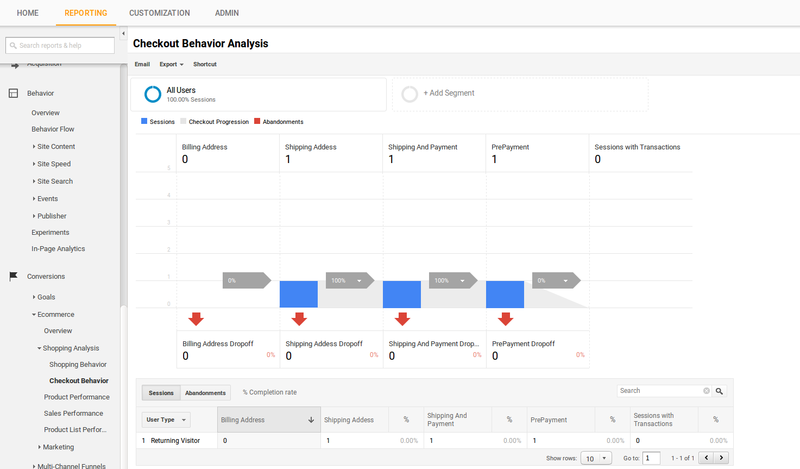 In the reporting page, click Conversions > Ecommerce > Shopping Analysis > Shopping Behavior in the left panel to see the behavior analysis of your eCommerce store. 8. 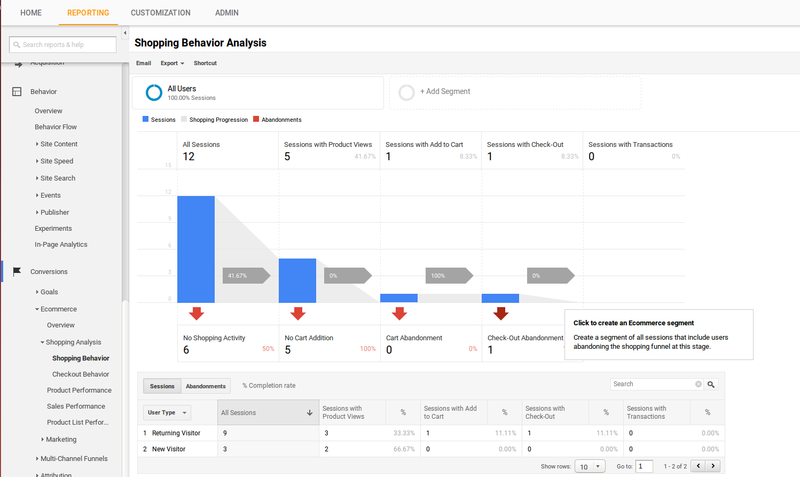 Click Conversions > Ecommerce > Shopping Analysis > Checkout Behavior to see the behavior analysis of checkout process.